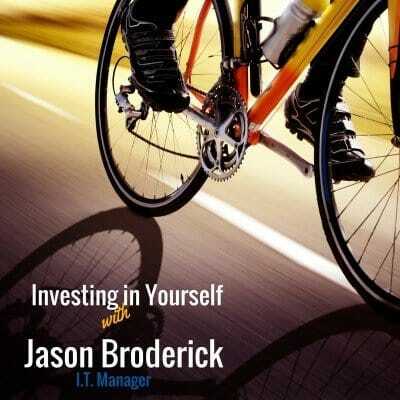 Staff Blog – Investing in yourself! At Income Solutions, we as staff are taught to invest in ourselves – and for me, that investment came in the form of my physical health with cycling. Two years ago I started occasionally bike riding with friends around the Bellarine area and to my surprise enjoyed it, so bought myself a basic bike and equipment and took up cycling as a serious (and expensive!) hobby. I get asked sometimes how I stay motivated for cycling – long rides, sore bum, weather conditions. The truth is, once you’ve invested so much of your money and time into something, you’re automatically a bit more incentivized to continue. Then, as you become fitter and a more skilled cyclist, the desire to push yourself to new limits becomes more prevalent. Currently, the furthest I have ridden is in the Great Ocean and Otway Classic Ride which was 145km’s. The race started off at 7am and I was able to cross the line at 12:45pm. I’ve taken a bit of time off these last few months as it’s the off season and only been riding about twice a week, but with Summer not too far away I’ll be getting back into training soon of riding five times a week, with a combination of before work rides and longer trips on a weekend as well as throwing in some running. Two events that I’m particularly looking forward to this season are the Around the Bay in a Day – where I’ll trek 250km’s starting in Alexandra Gardens (Melbourne) out to Queenscliff, catching the ferry across to Sorrento and then riding along the coast back to the city, finishing up at Alexandra Gardens. The other event that I am looking forward to is Amy’s Gran Fondo – an event for the late Amy Gillet who tragically passed away in Germany, 2005 when she was representing Australia with a group of riders and a vehicle crashed into their squad during a training exercise. Not only does this ride raise awareness around the importance of the 1.5m rule – but the Otways (although one of the most challenging in Victoria) is rewarding because of the views you’re surrounded by along the way. One of the reason’s why I love cycling so much, is that anyone with a bike and a pair of runners can participate – people of all ages, abilities and fitness levels can ride a route and at a pace that best suit’s them, while still getting all the benefits of physical fitness and taking in the sceneries. I highly encourage anyone who has thought of taking up cycling to give it a go, it’s a great way to see new part’s of Victoria! Have a diversified portfolio, stick to a budget, and save for the future. Both my parents worked in the banking industry and I had been exposed to discussions about money from a young age. I streamlined into commerce subjects for Year 12, and went onto study semesters in subjects such as Financial Accounting and Income Tax Law which would probably put any other sane person to sleep. Nevertheless I genuinely enjoyed learning about finances, and I chose to study accounting both at an undergraduate and postgraduate level. 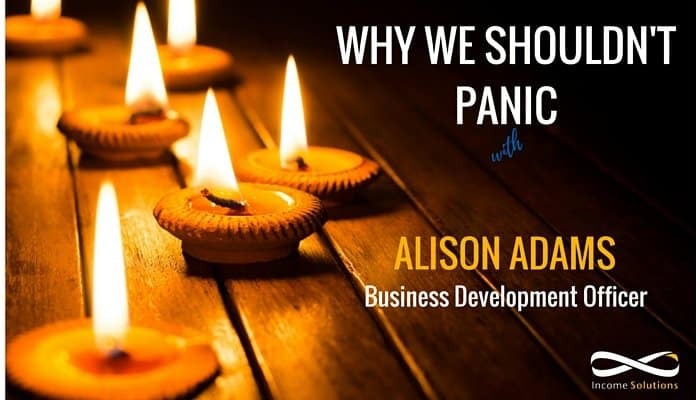 However, sitting in my first Common Sense Investing presentation given by Income Solutions, and on that day presented by the company’s founder, David Ramsay, I realised that I knew very little about my own finances. I was also about to turn thirty, and with the end of our twenties we all have some real world experience under our belts – we’ve tried some things, failed at some and succeeded at others. Living as a thirty-something brings a lot of new and interesting financial challenges. Do we have enough money in our emergency fund for a rainy day? Should we be spending all our savings on our wedding? (My other half glares at me as I write this second line). I realised I needed to make a few changes if I was going to secure my family’s financial future. 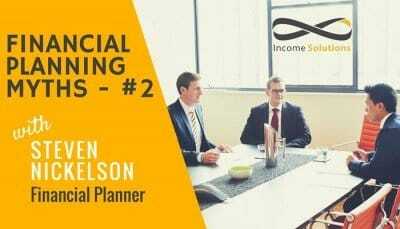 I have gained a lot of exposure to this area of planning for the future in my time with Income Solutions; working closely with David, Elise and the many team members of our Geelong office. I do not have a lot of spare money to invest, nor do I have thousands in savings. 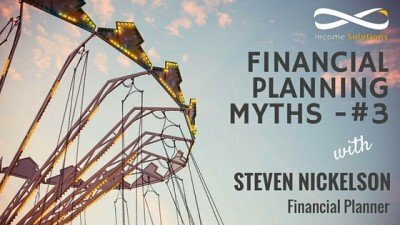 Why do I need a Financial Planner? Advice from a financial planner is not necessarily for people paying taxes in the highest tax bracket and earning a six figure salary. Making sound financial decisions in your early twenties can have a significant difference to your future. Financial planners can give advice on the choices you make, your lifestyle and not only where you see yourself in 10 years, but how to get there. Where is the best place to keep my money that I do have? The conundrum of a fixed deposit or investing in the share market. 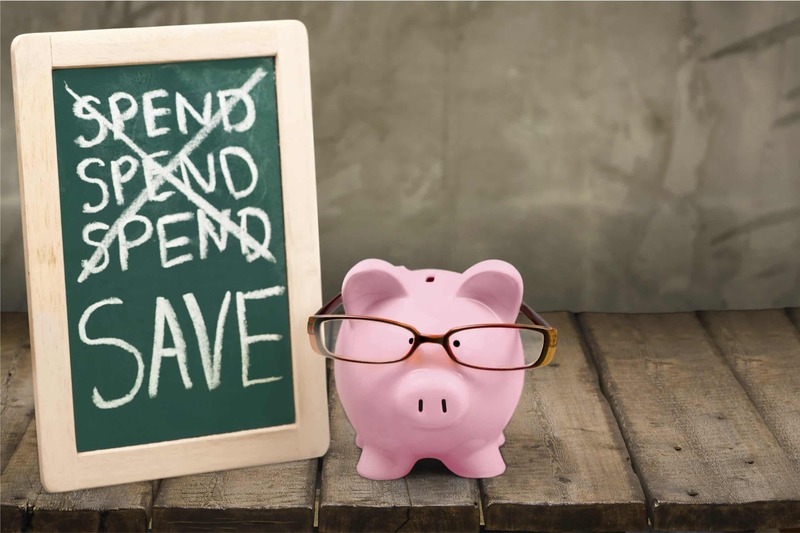 Managing your savings wisely is important to your long-term wealth creation plans, and can guard against financial disadvantage should the situation ever arise. Each savings strategy is different, based on the individuals situation. When is the right time to sign up for a mortgage? The first goal for most young professionals is to save up for that first house; whether it be the dream home, the older house that needs renovations or a house in a different area that can be leased and used as an investment property. There are a lot of options and factors to be considered such as risk, debt, interest rates and it is important to remember that what is right for you may not apply for someone else. Where is my super and how does it work? Your superannuation matters – most Australians rely on their superannuation balances to fund them in retirement. 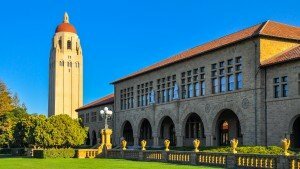 Most of my own friends working in a variety of fields – engineers, doctors and casual work – seem to not know where there super is and how it is invested. Under-insurance is a big problem –the possibility of becoming totally and permanently disabled is not something you consider in your 20s. However, these tough questions need to be asked and answered to help secure your future. Budgeting doesn’t mean you need to pinch your pennies and not enjoy yourself. It is more about having an idea of where you are spending your money and finding ways to cut down on that frivolous spending that drains your bank account. It is used for planning and for control. Financial planners can assist you with committing to a budget in order to make an agreed-on outcome happen. There is no one right time to be thinking of the future. It needs to be happening, always. If you are working full-time, part time, in-between jobs, just taking a few months off work to spend time with the family, or you are pondering starting your own business, we will be able to help manage your goals and dreams. You may be, like myself, entering an age where the thought of retirement and other financial issues become a bit more ‘real’ or you just want a better understanding of how your money will deliver the lifestyle you want. 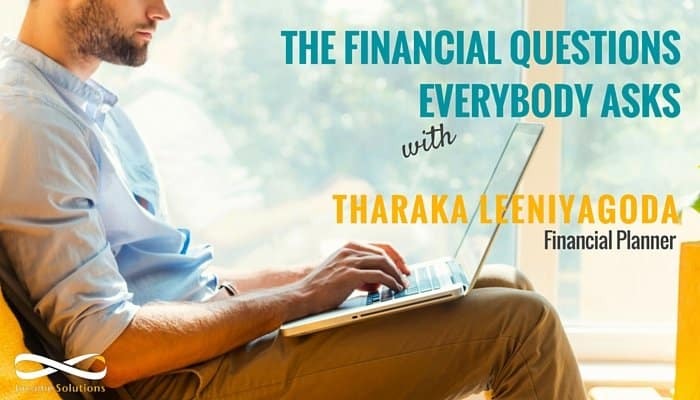 If any of the above queries have resonated with you as they did with me, or if you have any other burning questions and want to learn how to better strategize for your future, drop by Income Solutions and we’ll make time for a chat. There are times in life where you listen to the news with a heavy heart, and a slight panic. It’s fair to say the big news stories of the last few weeks have left me feeling this way, following the tragic loss of life in Orlando Florida, and the murder of Jo Cox in the UK. Label them what you will – hate crime, terrorism – it doesn’t matter how they are portrayed, the reality is that in the global village of today’s world you acutely feel the pain of these events as if they happened down your own street. As Business Development Manager at Income Solutions, I make sure I keep up to date with the news and read as many articles as I can. As a Financial Planning firm, we are very interested in behavioural investing and the flow on effect big news events have on the way people view investment markets. Last week I’ve read articles around SPECULATION of the Brexit outcome – Britain’s decision leave the European Union, for which Jo Cox was passionately campaigning against. 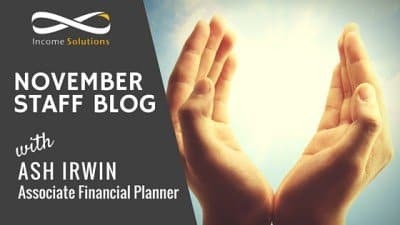 I was horrified to read one article where the author was promoting changing investment options for superannuation investors based on what MIGHT happen. For example, the author’s suggestion is that the Australian share prices MIGHT be affected by this decision. The author’s strategy was to sell now while the price is high and then hold cash until it’s right to buy back into Australian shares at a low price. The author doesn’t predict when that “right time” might be. NO! I feel so strongly against this sort of SPECULATIVE advice that I’ll just repeat that. NO! Let me give you a definition of speculation, taken from the Macquarie Concise Dictionary: Trading of commodities in the hope of profit from changes in the market price, engagement in business transaction involving considerable risk but offering the hope of large gains. Now let’s consider your superannuation – a long term INVESTMENT designed to provide you with income when you retire. From the same source, the definition of investment: The investing of money or capital in order to secure profitable returns, especially interest or income. Let’s face our own reality. Unless you are a qualified investment analyst with access to financial reports (which you know how to read and understand), I doubt you have the skill set to know how to time to market. Event trained and experienced Fund Managers who spend their working week researching and making investment decisions don’t always get it right. I honestly can’t think of one scenario in 25 years in the industry where I recall a happy outcome. My over-riding memory of clients who have taken this step is seeing their stress and feeling their loss. Besides, you seriously have better things to do. Instead, invest in yourself. Be the best you can be at your chosen profession or even just life in general. Set some goals, lifestyle and/or financial, and work hard towards achieving them. Then outsource – just as most people don’t service their own car or build their own house, your investment decisions should be outsourced to a trusted Financial Planner. Let your only investment decisions be around how much energy you can place into making your world a better place to live in. If you can achieve this, by extension of the positive things you are doing, you can contribute towards replacing those heavy news stories with more good news stories. Even if it’s only the local news. What’s more, you’ll be spending time enjoying life. There is a common misperception that Financial Planning is all about Investments and Retirement Planning. Sure, the investment of surplus funds (spending less than you earn in case that is a foreign concept!) and Superannuation is a big part of what we do. 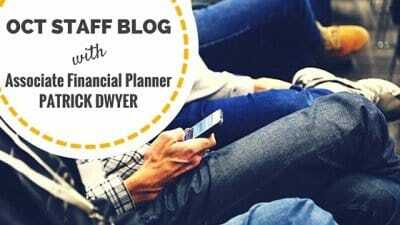 However, a good Financial Planning relationship should extend well beyond simply advising on Investment and Superannuation products and strategies. 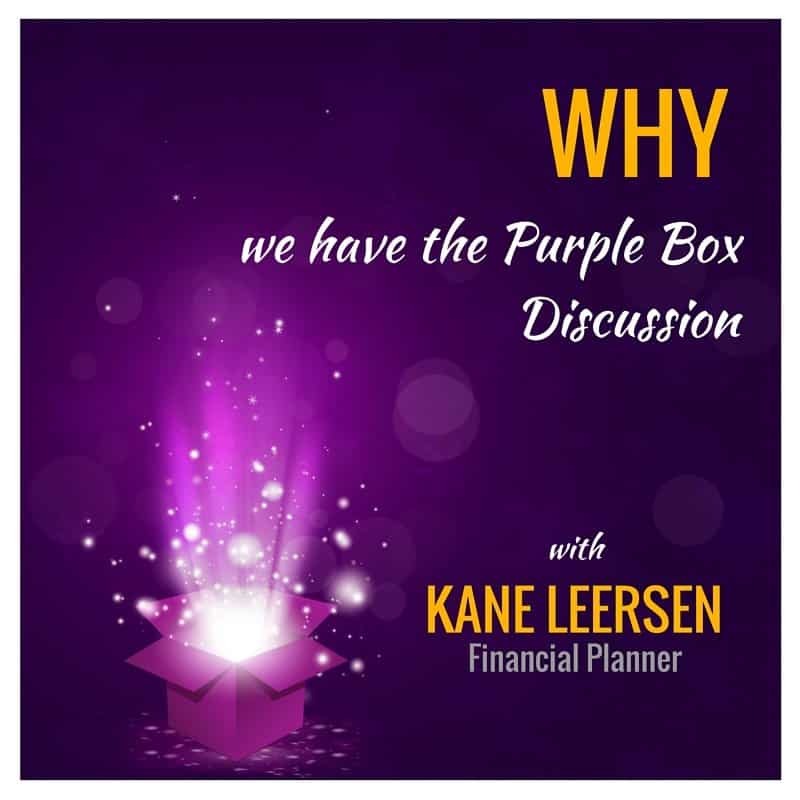 For example, your trusted Adviser should challenge you to get the best out of yourself in your career or business (what we affectionately refer to as your Purple Box here at Income Solutions) and push you to get outside your comfort zone (much the way a Personal Trainer does). A solid Financial Planning Relationship is built on not just Trust, but importantly on a process of education. You don’t need to become an expert, but there is no doubt the better understanding you have, the more successful your outcomes. At Income Solutions, we run Information Sessions (including Common Sense Investing, Common Sense Estate Planning and First Steps to Financial Success) to assist you to gain knowledge in all things Financial Planning. Last but certainly not least, even when your Finances are in order and you are well educated, your Adviser should assist to facilitate the transfer of wealth to the next generation, embracing the responsibility to educate future generations to ensure the benefits of your hard work is reaped for generations to come, and not cashed in and spent in a heartbeat. To learn more about the specific areas of advice we provide, find out more about our services here.